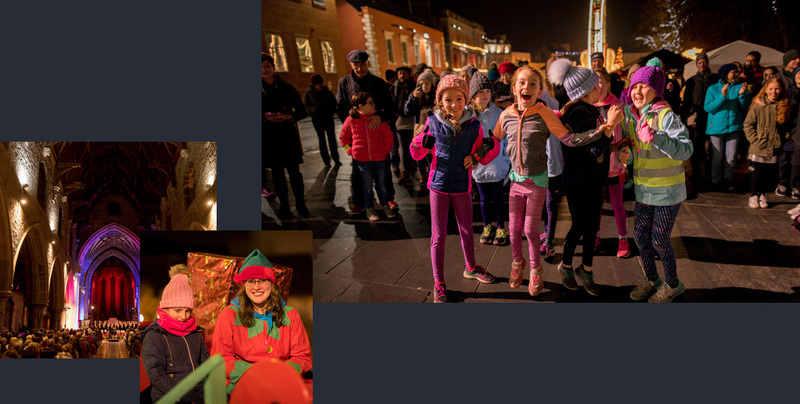 Yulefest Kilkenny, a curated Christmas festival invites all the family to enjoy a wide range of seasonal activities in Kilkenny throughout December. Explore all that Kilkenny’s seasonal programme has to offer, from family friendly festive events to fine dining, customise your Christmas at Yulefest Kilkenny. Combine shopping with skating or browsing with brunch, experience festive events taking place within our fun sized city. See light installations, hear castle choirs and snap Christmas carousels against the backdrop of our atmospheric and walkable city. Sip hot chocolates or crafted cocktails; whether you want to take elfies or selfies, take time out so you can take it all in at Yulefest Kilkenny.